We’ve talked a lot about using MassTransit with RabbitMQ in a variety of scenarios on this blog. We talked about error handling, which is something you need to know how to implement in a real world MassTransit + RabbitMQ deployment. Another important aspect to a production deployment is monitoring. Lets take a look at how we can leverage the RabbitMQ Management HTTP API (installed with the RabbitMQ Management Plugin) to query our queues so we can monitor the health of our service bus. After a restart of the RabbitMQ service, visiting http://localhost:15672/ should bring you to the management GUI (default credentials are guest/guest). The HTTP API is available at http://localhost:15672/api/. In this snippet of JSON you can see the queue has a single message in it. Now, let’s see what we can do with this new knowledge to keep tabs on our queues. At a minimum, I would monitor the number of ready messages in your queues. What constitutes an alerting threshold obviously will depend on your application. If you expect to have fairly real-time processing of your messages, and have the necessary horsepower in your consumer(s) to keep up, then you might alert if the queue goes over 10 unprocessed messages. You just need to decide how sensitive you need it to be. I’ll show you how to get the data out. Which queues should you monitor? Any queue you expect to receive messages likely warrants monitoring. This means, for example, in our simple publish/subscribe example, we would monitor the MtPubSubExample_TestSubscriber queue. We also will want to monitor the corresponding error queue (e.g. MtPubSubExample_TestSubscriber_error). In our customer portal example, we would monitor Loosely_CustomerPortal_Backend and Loosely_CustomerPortal_Backend_error. This is largely up to you and what monitoring tools you already have in place. Most monitoring tools such as Nagios, NewRelic, AlertSite, and System Center will have some notion of a custom counter or metric that you can have the system monitor and send alerts when they reach a certain threshold. 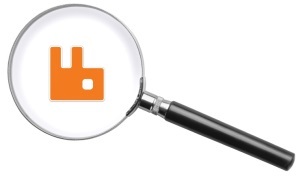 If your selected monitoring tool has a RabbitMQ plugin, you’re in luck. Otherwise, you will need to write a small script to supply the data points to your monitoring system. Let’s take a look at how to do this in C#. The code for this sample is available on github at https://github.com/dprothero/Loosely.RabbitMq.Monitor. Clone that repository or follow along here to build the project from scratch. I am using Visual Studio 2013. First, create a new C# Console project. We can call it Loosely.RabbitMq.Monitor and name the solution something like Loosely.RabbitMq.Utilities. Install the NuGet package Json.NET to your project. That will help us read the JSON response from the web service. Note that JSON.NET is case insensitive when deserializing, so you don’t need these attributes if you are only adjusting the case of the identifier (e.g. “name” to “Name”). The code should be pretty straight forward. We make a request to the HTTP API, deserialize the JSON data into a plain old C# object (POCO), and then output the properties we are interested in. However, to make this really useful, we should refactor this code so it can be command line driven. Then, we can simply pass parameters on the command line to tell the program the instance of RabbitMQ to monitor (base URL for the API), the credentials to connect to the server, and the queue we want to interrogate. // Here is where we report the message count to our monitoring system. // Replace the console output/wait with your code. As you can see, it is fairly easy to interrogate RabbitMQ to get information about the status of its queues (as well as any number of other objects). If you want to make extensive use of the HTTP API, I would suggest taking a look at Mike Hadlow’s EasyNetQ.Client.Management library, available on NuGet. This is a complete C# wrapper around the HTTP API, making it trivial to work with the API from C#. Can the queue depth be obtained using MassTransit instead of the RabbitMQ api http call?